See More While Gently Paddling With the Current. This is how kayaking was meant to be. Come experience a nature walk on the water with our guided kayak tours! Glide through the waters of Broad Creek as your tour guide enriches your mind with historical and wildlife knowledge of Hilton Head Island. Paddle through the rich ecosystem of our salt-water marshlands observing many indigenous species of bird wild life such as: the brown pelican, egrets, herons, osprey, bald eagles and many more. Get up close and personal with our beloved Atlantic Bottle Nose Dolphins! Hilton Head is home to over 100 local dolphins, living here year round, and is also located on the migratory path for these spectacular mammals. Don’t be surprised to see these curious creatures swimming right along side your kayak! We have double and single kayaks available. This tour is great for all ages! No experience necessary! 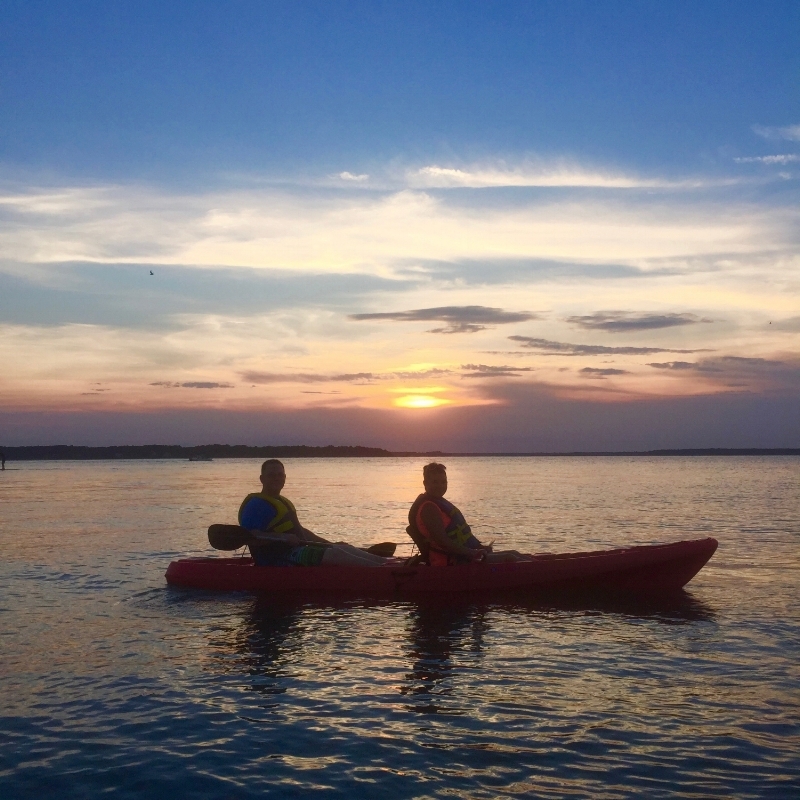 Ask about our rental options and the ALL NEW HHI Kayak Club.